Boston Light & Sound (BL&S) was proud to work with Warner Bros. and Dolby Laboratories to present the U.S. Premiere of A Star is Born. 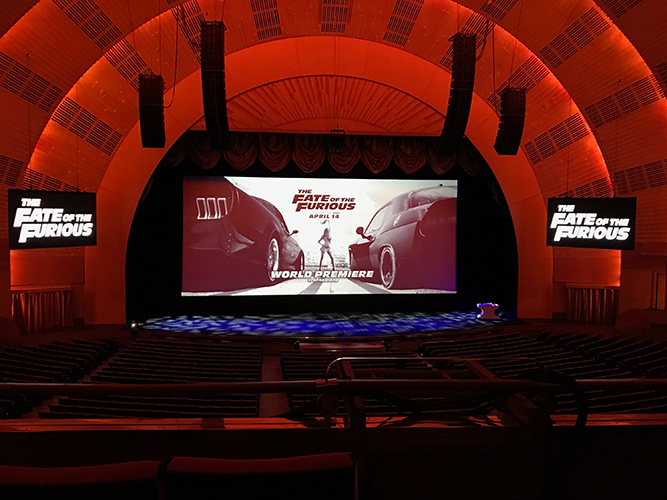 The event took place at the iconic Shrine Auditorium in Los Angeles in September, 2018, featuring high-definition, ultra-high dynamic range Dolby Vision projection and Dolby ATMOS sound reproduction systems. Director Bradley Cooper chose the Shrine location as the venue for some of the film’s concert scenes, and he wanted the premiere to have the look and feel of a rock concert as well. infrastructure for the show, including the sound system, temporary projection booth enclosure, power distribution and screen. BL&S worked closely with Steve Oliker from Oligopoly Productions, a longtime associate and experienced event producer within the entertainment industry. BL&S and Dolby previously collaborated for the premiere of to Warner Bros.’ Batman V Superman at Radio City Music Hall in March 2016. 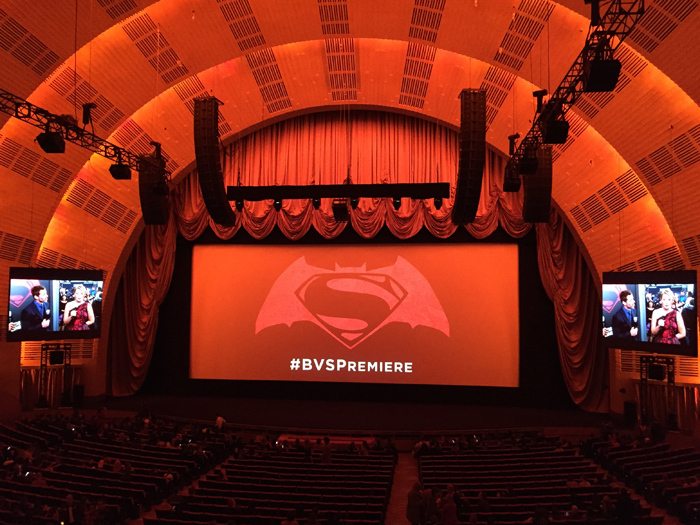 Beginning with Batman V Superman, BL&S designed and prefabricated a screen system that included the necessary vibration inducing screen shakers required for laser projection on a high gain screen. 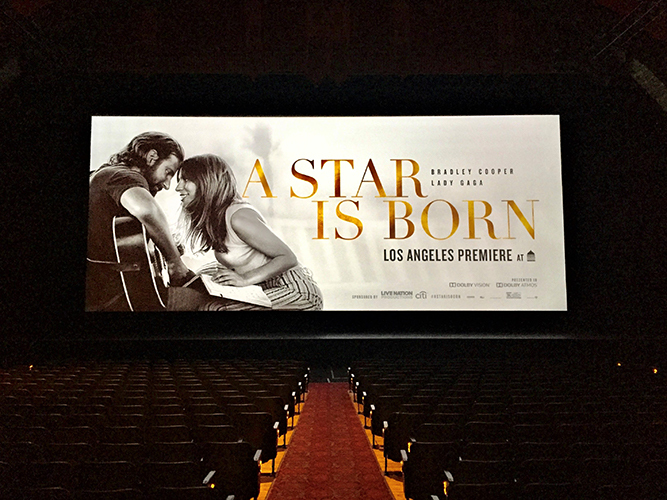 The system, also used for the premiere of A Star is Born, includes over 85 pads, each moved by a small solenoid driven by a control/driver system. Each pad’s location is precisely set using parameters as defined by Dolby’s engineering group; each is precisely positioned and its frequency tuned each time the screen is set up. 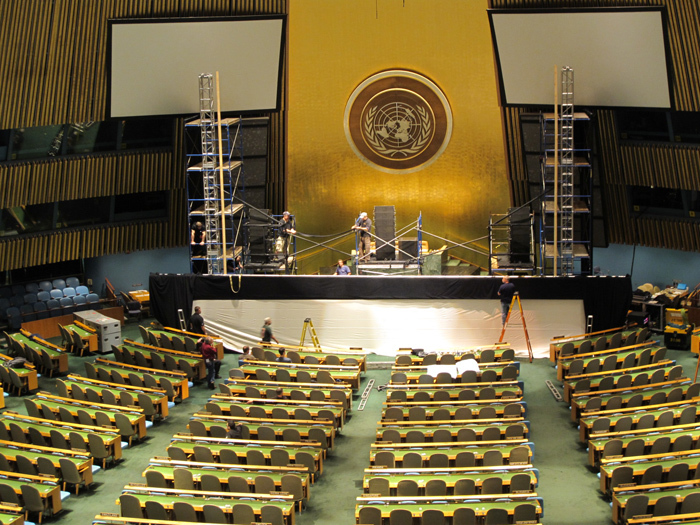 The huge 30' x 70' screen and frame has to be installed and removed very quickly. BL&S Production Manager Jon Newlander directed the production, assisted by newly appointed Los Angeles Business Development representative, Lori Harris. When Director David Gordon Green decided where to premiere his film Stronger, it was at a place that had a great deal of meaning: The Spaulding Rehabilitation Hospital, which is where Boston Marathon bombing survivor Jeff Bauman and many others gained the inspiration and worked tirelessly to move forward after the attack. handled everything, including hiring a staging company, collaborating with the studio’s technician, carefully installing and calibrating the digital cinema projector, bringing 300 chairs from the Wang Center up the freight elevator, adding drapes and carpet to block out light and sound to ensure optimum presentation quality, and more. Based in Charlestown, Spaulding was thrilled to be able to give the local community, as well as patients, staff, and donors the opportunity to screen the film. They were extremely happy with the premiere. View a timelapse video of BL&S’s set up for this Boston premiere at The Spaulding Rehabilitation Hospital. WBZ-TV's Lisa Hughes reports. 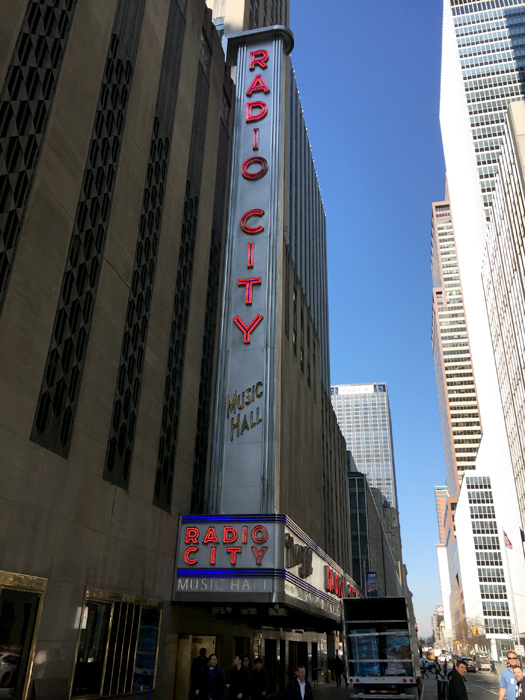 Boston Light & Sound (BL&S) was thrilled to be selected by Warner Bros. to present the New York City premiere of Batman V Superman at the famed Radio City Music Hall in March of 2016. 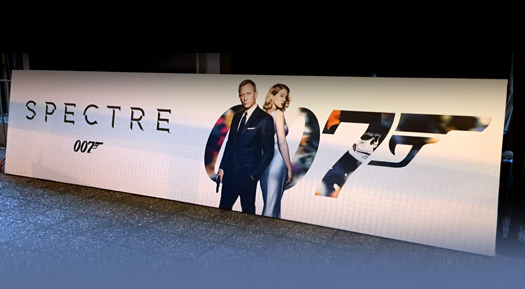 The technical aspects of the premiere were inaugural for everyone involved as it was the first time that the Dolby Vision laser projection system was used in a temporary premiere set up. The technical set up for this system is extremely delicate, taking more than 12 hours just to calibrate the projectors, which use laser modules to provide excellent contrast for digital cinema. Along with the Dolby Vision system, BL&S brought in a full Atmos sound system to complete the full audio and picture presentation. Another unique characteristic of the job was that the 30' x 70' screen provided by BL&S had to be shaken constantly by 89 pads, each moved by a small solenoid driven by a control/driver system. 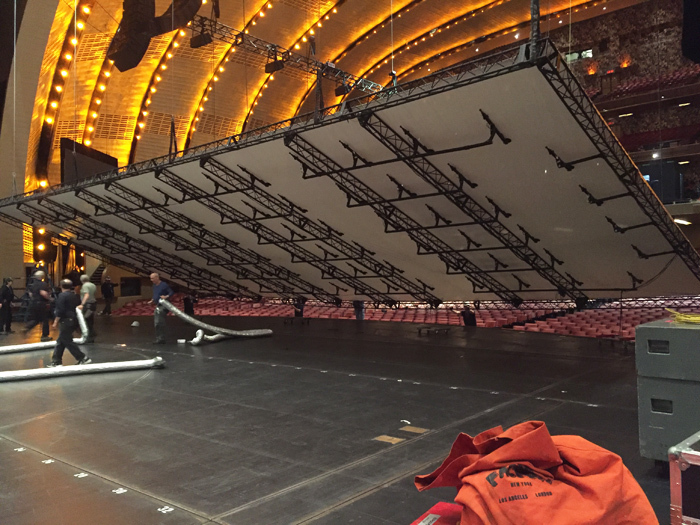 Since the position of each pad was precisely prescribed and the screen and frame had to be installed and removed speedily, BL&S engineers designed and fabricated a system of extra screen trusses and group mounting assemblies to allow relatively quick installation by the IATSE Local 1 stage crew. 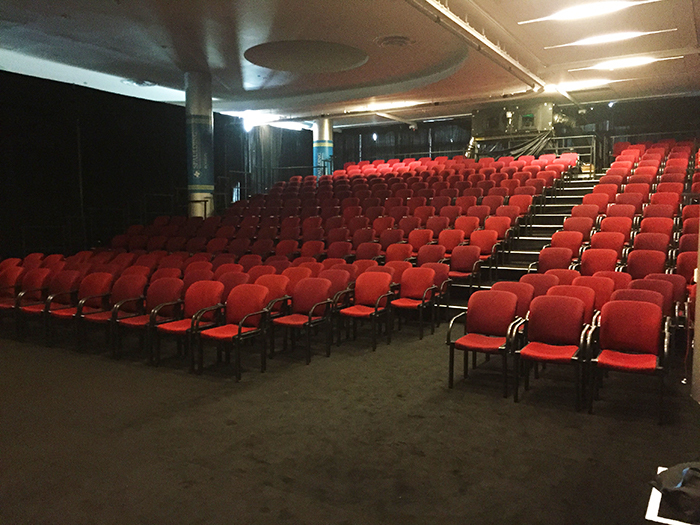 After installation of the screen, an unexpected situation arose: the large volume of airflow from the auditorium to the stage house pushed the screen surface upstage due to house ventilation and lobby doors opening. This caused the screen structure to press against the frame, making the pads visible. BL&S developed a solution on site using blowers and ducts, and repositioning certain structures installed by the stage crew to good effect. 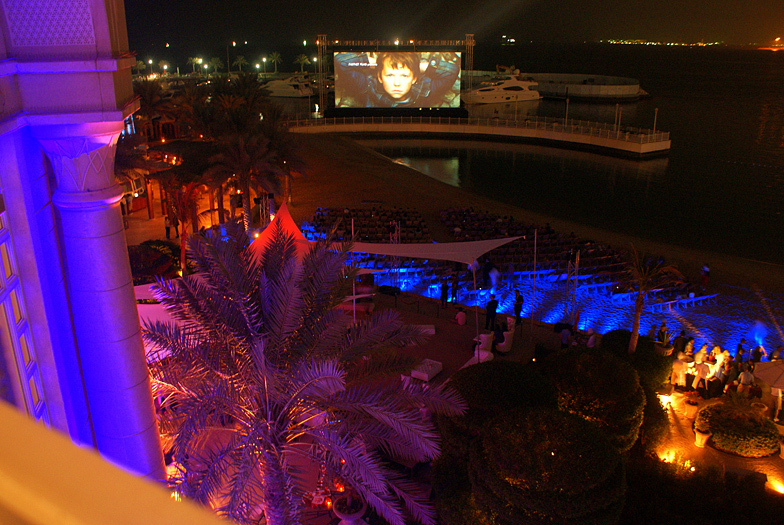 BL&S also provided a custom temporary balcony projection booth as well as a backup projection system using a Barco 32b digital cinema projector. Batman V Superman premiered in New York City on March 20th, 2016. The final result of the premiere team’s hard work and ingenuity was superb. 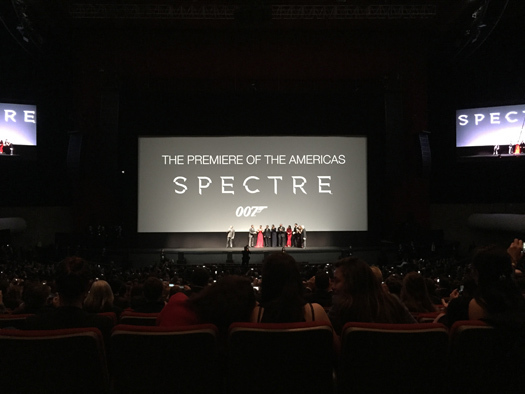 Sony Pictures International enlisted Boston Light & Sound in August 2015 to screen the North American premiere of the latest James Bond film, Spectre. 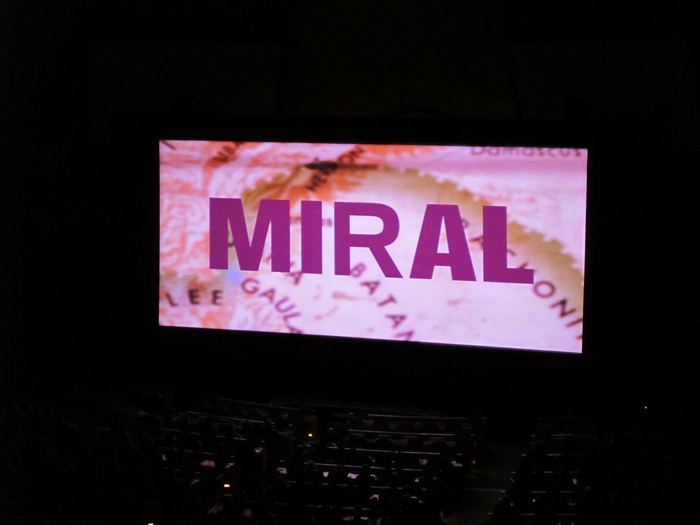 The premiere was to be held at the Auditorio Nacional, one of the largest and most popular auditoriums in Mexico. 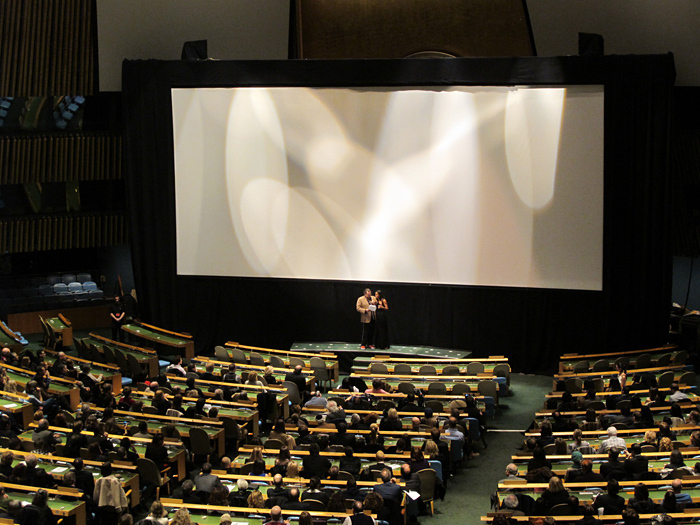 Due to the city’s popularity, the most immediate challenge for BL&S was finding both a date to screen the premiere, as well as dates to access the venue to set up and test equipment prior to the premiere. proved invaluable to the event’s success. Over the course of three trips, including a dry run in mid-October, BL&S navigated logistical and technical challenges inherent to presenting such a high-profile event, all while managing the project across two languages. The team brought in two Barco 4K 32B Digital Cinema projectors and DoReMi servers, working with the house to optimize their existing screen. An additional sound system was brought in to fulfill the Dolby 7.1 mix. The BL&S team prepared overnight and all day of the premiere to ensure the best possible presentation. 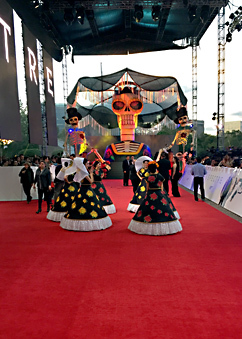 Spectre premiered on November 2nd, 2015 on Mexico’s national holiday – Dia de los Muertos, or “Day of the Dead.” The timing and location of the premiere in Mexico City was tremendously important to residents, as the opening sequence of the film takes place in Mexico City on Day of the Dead. During the film’s production, filming closed down many streets in the heavily congested city for several weeks. Needless to say, locals were thrilled to be part of the premiere. The red carpet was one of the most elaborate BL&S has seen, using many set pieces as décor to create a fitting entrance for the spectacular event. 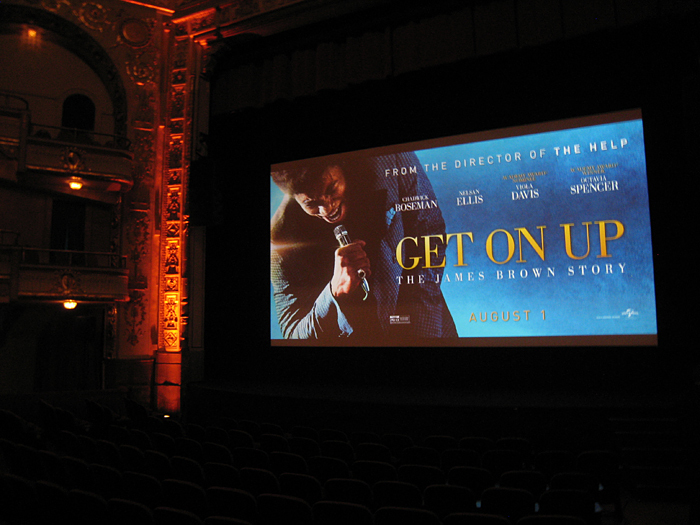 The historic Apollo Theater in Harlem, New York City, was the natural choice for Universal Picture’s world premiere of the James Brown biopic Get on Up. While the theatre has held numerous musical events – many famous James Brown performances among them – showing a major motion picture event was a bit out of the ordinary for the theatre. installed a large truss structure that spanned the length of the orchestra on both sides to accommodate the necessary surround speakers, which could not be ground-supported due to egress needs. Since the film featured so many great musical numbers, the premiere felt almost like watching the late great James Brown perform live again at the Apollo. The Los Angeles premieres of “Mockingjay Part 1” and “Mockingjay Part 2” at the Nokia Theatre were huge productions full of technical and logistical challenges. The American Music Awards team was already preparing for their live broadcast the next week, so BL&S had limited access to fly space and entry points throughout the venue. Additionally, the producers rightfully wanted to present the films in their original mix, Dolby ATMOS. 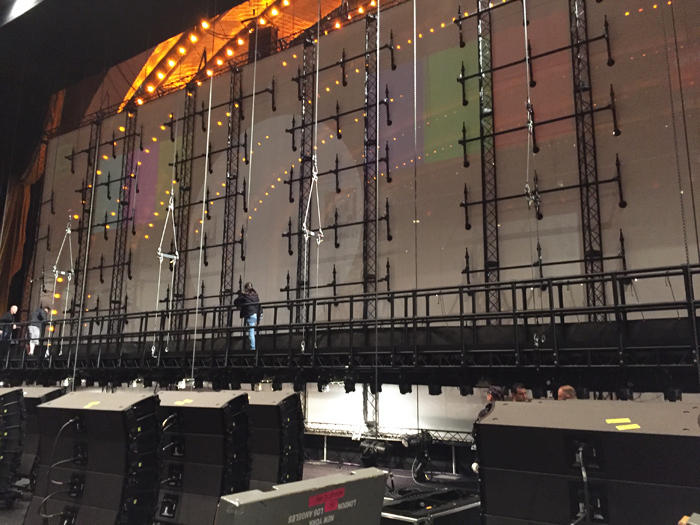 The BL&S team worked closely with Dolby to find an ideal speaker layout, and installed more than 200 speakers to recreate the incredible mix in stunning sound and image. 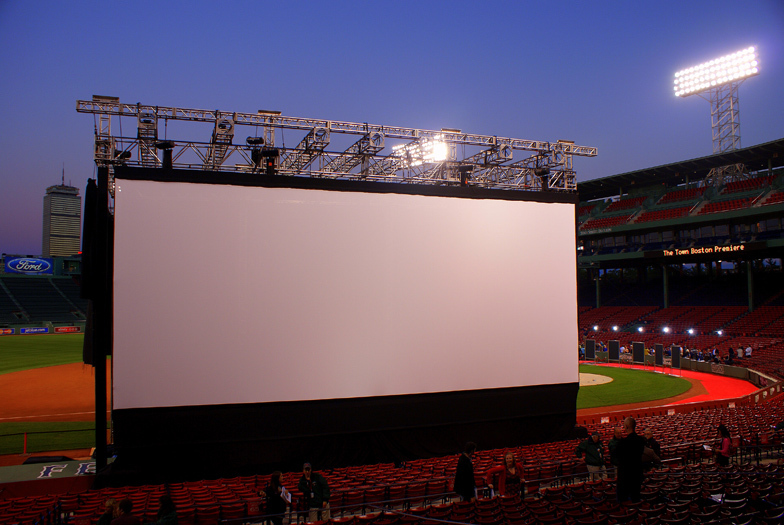 Since part of the Warner Brothers crime thriller the Town is set in Boston’s Fenway Park, director and actor (and die-hard Red Sox fan) Ben Affleck was intrigued with the idea of premiering the movie in digital cinema in the park. This was no easy feat, but Warner Brothers knew who to tap for the complex job. They brought in Boston Light & Sound (BL&S), known in the industry for delivering stellar film presentation in unusual settings. “We actually like going into places where people think you can’t do a good job showing a movie, and Fenway Park was one of those,” says BL&S’s Chapin Cutler. Transforming a portion of the almost 40,000-seat ballpark into an intimate movie theatre setting is a complicated, multifaceted process. 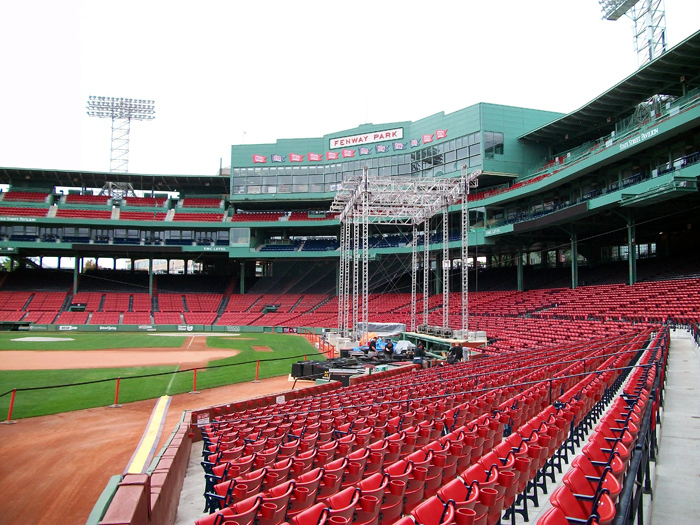 BL&S needed a presentation screen that would withstand the elements and highly unpredictable weather in Boston. 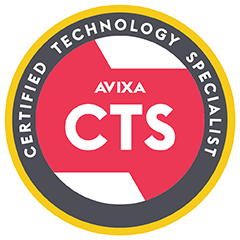 They also needed to ensure high quality audio in a notoriously difficult environment. The BL&S team had an extremely tight window of time to install, tune, and test the digital cinema equipment. 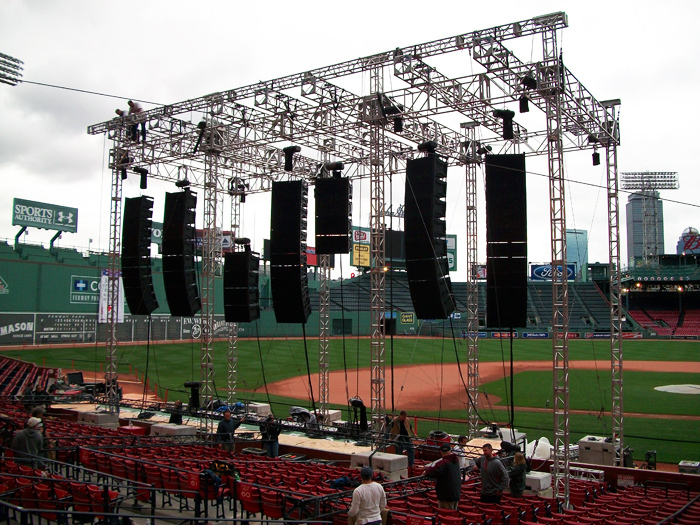 Between the city’s noise ordinances and concurrent events being hosted at Fenway Park up until the evening of the screening, there were few opportunities to validate the audio system performance prior to the event. Moreover, the team faced an unusual quandary in bringing heavy projection and audio equipment in for the event: they weren’t allowed to touch the grass. BL&S conducted several pre-site visits to determine the structural load, and the logistics involved with moving equipment in and out of the park according to the organization’s guidelines. BL&S then set out to find the right equipment for the venue. They partnered with Gulf Coast Sound, who helped engineer the Dolby 5.1 sound system designed to cover 2,000 seats of the park. 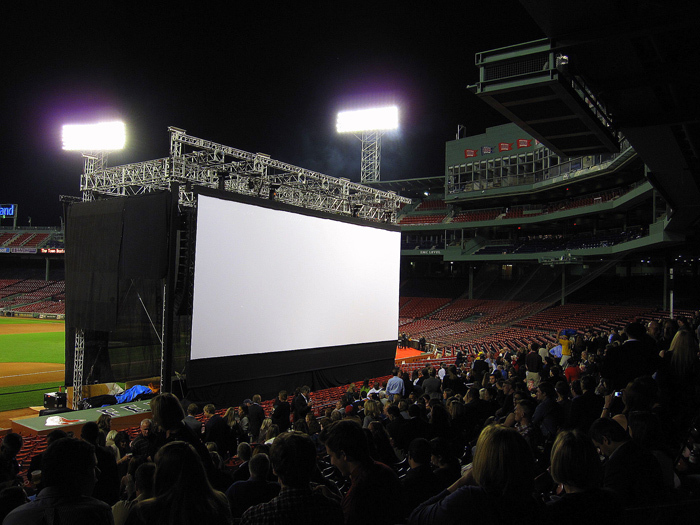 To present the film in this outdoor setting, BL&S installed a 22x50-foot screen over the visitor’s dugout facing the ballpark seats. They designed the screen structure with special dark-colored material that promotes air flow so it wouldn’t blow over in high wind, and created the optimum film presentation environment by blocking out extraneous light and the surrounding buildings from view. The team’s creativity and diligence paid off. 2,000 lucky people walked into Fenway Park that beautiful September night to a real treat. The movie looked and sounded extraordinary. BL&S produced crisp audio and images of the action-packed film, becoming the first known company to present a film premiere at the historic park. “One scene where a minivan was blown up sounded so real it practically shook the park,” says a Boston Light & Sound production staff member. 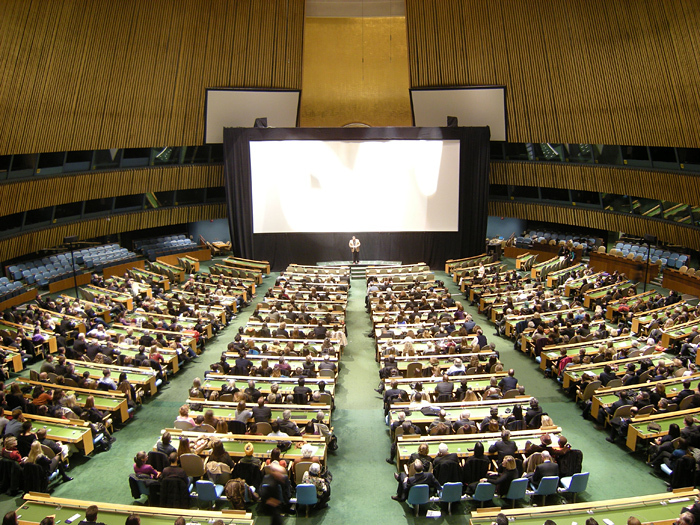 Boston Light & Sound (BL&S) helped present the premiere of Miral in the General Assembly Hall at the United Nations—the first time a feature film had been presented in the venue. The story of a Palestinian girl growing up in the wake of the Arab-Israeli war was sure to draw attention, and the client was intent on ensuring every detail was perfect. very reverberant space, which can significantly distort the soundtrack if not remedied. Complicating matters, BL&S couldn’t gain access to the room until 36 hours before the screening, and even once in the space, they needed to ensure that nothing in the room would be touched. Additionally, loading in equipment was to be a complex process, requiring coordination among numerous groups and movement of heavy equipment amidst high security. 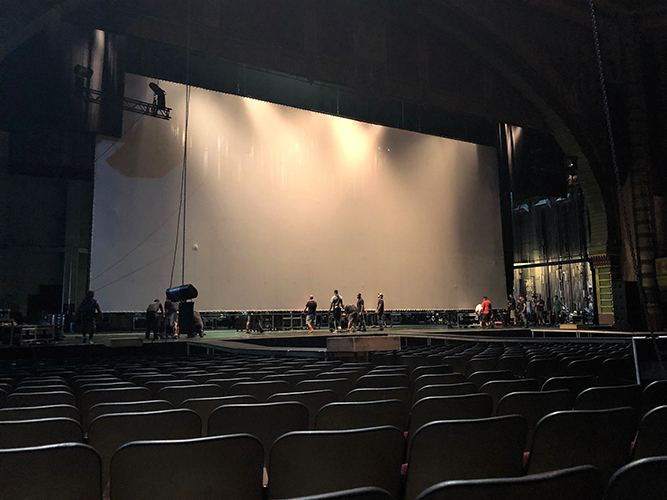 The 35-person BL&S team set to work installing a 35mm projection system and building an elaborate freestanding truss structure up and over the rostrum for a large format screen. They then distributed audio using surround sound and line arrays to direct the sound to the audience. Happily, their efforts paid off. Producer Jon Kilik and director Julian Schnabel were thrilled with the result. Mr. Schnabel even gave a shout out to BL&S during the panel discussion following the screening, proclaiming that the movie will never look as good as it does right now. Schnabel added: “It’s amazing what happened here tonight… I could lick the color off the screen!” It’s further proof that 35mm projection is as good as ever. For more than 40 years, Boston Light & Sound (BL&S) has had the opportunity to present festival quality movies in the most unusual locations around the world — from a wharf in Qatar to a boulevard outside the Colosseum in Rome to California’s Universal Amphitheatre. 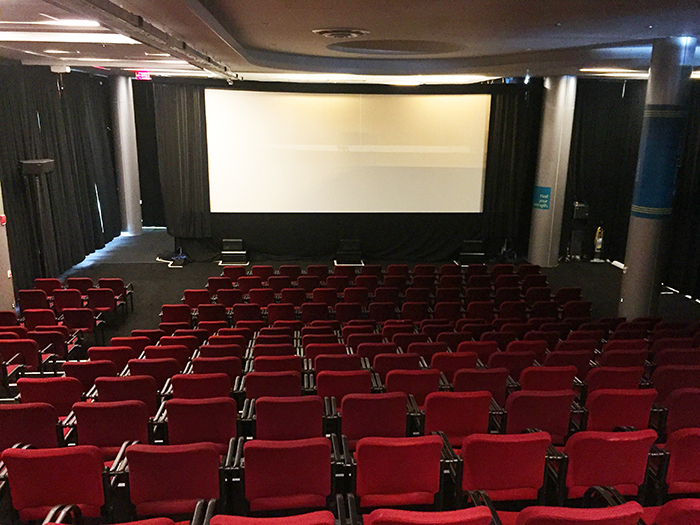 Festival managers, technical directors, film directors, and event producers trust BL&S to design and integrate screening spaces of all kinds to their exacting standards for movie premieres, film festivals, post-production review rooms, product reveals, and special screening events.